Microalbuminuria is a condition that affects the kidney and restricts in retaining serum albumin, which is considered as a vital factor for the kidney to maintain its overall health of the body. The rising cases of obesity of diabetes across the globe have resulted in a significant rise in the microalbuminuria, which is likely to encourage the growth of the market in the next few years. The rising emphasis of the leading players on the research and development activities and development of new products are expected to encourage the growth of the global microalbuminuria market in the coming years. Furthermore, the rising awareness among consumers regarding a healthy lifestyle and diet and the increasing disposable income are projected to supplement the growth of the global microalbuminuria market in the next few years. In addition, the expected entry of new players in order to gain a competitive edge are likely to focus on the expansion of the product portfolio, which is estimated to supplement the market’s growth in the near future. At present, several tests are available in the market, which helps in determining the condition of microalbuminuria. The emergence of effective drugs and therapeutics is projected to contribute towards the development of the overall market. The rising expenditure and the availability of enhanced healthcare infrastructure in developed economies are expected to generate promising opportunities for key players operating in Europe and North America. Furthermore, the presence of several leading players in these two regions are anticipated to accelerate the growth of the global microalbuminuria market in the next few years. This market is estimated to witness a healthy growth in several developing economies across the globe. Albumin is a commonly found protein in the blood and constitutes around 50% of the blood protein. Microalbuminuria refers to a condition in which kidney is not able to retain serum albumin, which is essential for the kidney to maintain overall health of the body, and exerts it in the urine. During certain conditions like diabetes, especially type 1 patients, nephropathy, and other nephrotic syndromes, the chances of microalbuminuria is escalated. A research by British Medical Journal on diabetic children with type 1 diabetes revealed that 26% of the all the diabetic children had microalbuminuria, of which nearly 48% of the children had persistent microalbuminuria which is highly likely to lead to further worsening of the conditions in a few years. Though microalbuminuria can be treated in most causes with suitable treatment and medication along with dietary changes, certain cases can also be associated with high risk of ischemic heart disease. Consequently, routine monitoring and timely treatment of microalbuminuria is of utmost importance and as a result, the demand in the global microalbuminuria market is projected for a healthy growth rate during the forecast period of 2017 to 2025. Elderly people are more prone to diabetic diseases. According to the National Institute of Aging (NIH), 524 million people were aged over 65 across the globe and this number is estimated to reach 1.5 billion, which will represent nearly 16% of the world’s population. Moreover, the World Health Organization (WHO), 422 million people suffered from some form of diabeties in 2014, and the number is expected to continue swelling in the near future. These rising numbers are the foremost drivers in the global market for microalbuminuria. Research and development for the treatment of microalbuminuria is another factor that is expected to favor the expansion of the market. As of now, the treatment is broadly via dietary supplements, but some manufacturers are also coming up with low fat or albumin variants. Since cholesterol or dyslipidemia treatment have not shown any effect on albuminuria patients, possibility for therapy for microalbuminuria is huge, before it turns into cardiovascular diseases. Increased disposable income among the urban population is also expected to boost the microalbuminuria market in near future. Geographically, the global microalbuminuria market can be divided into North America, Asia Pacific, Europe, South America, and rest of the world. Currently, North America serves the maximum demand due to robust healthcare infrastructure in the countries such as the U.S. and Canada. However, regional markets of South and East Asia, Europe, South America, and Africa are also expected to extend the demand during the forecast period due to high prevalence rate of diabetic patients in these regions. 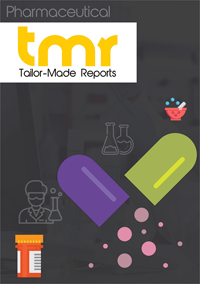 Some of the key players currently operational in microalbuminuria market are Novartis AG, Sanofi, Alfa Wassermann S.p.A, Steno Diabetes Center A/S, Takeda Pharmaceutical Company, Ltd., Bristol-Myers Squibb Company, AstraZeneca Plc, AbbVie Inc. , Fondazione Mario Negri Sud, and Daiichi Sankyo Company, Ltd.